There are now hundreds of thousands of apps in the app store. And that’s just Apple. And that’s not including all of the under performing apps that have vanished from the store since it opened in 2007 or successful apps that got sold for millions only to be broken apart and adopted by mega corporations. Seemingly every day we discover something new that makes our eyes open wide and immediately reach for our phone to download. But after the hype and that initial rush of curiosity dies down, some apps stay for the long haul and some get deleted, or worse, end up on the Techcrunch Deadpool page. In this first installment of our new series Fad or For Real, we’ll take a look at three hot apps and predict whether or not they have what it takes to build a brand that lasts or if they’ll just be another fallen name in tech wasteland. Of course, we’ll only be looking at apps that are stand alone products and not extensions of larger brands such as Facebook or Walmart. Path is an app that lets you create intimate mobile focused social networks in a similar manner to the Facebook timeline but not quite as robust in content. It’s not a coincidence mind you that founder Dave Morin was an early employee at Facebook and cashed out rather nicely, using some of those funds to help build Path. The app is beautifully designed, really a leader in mobile design in the social networking space. 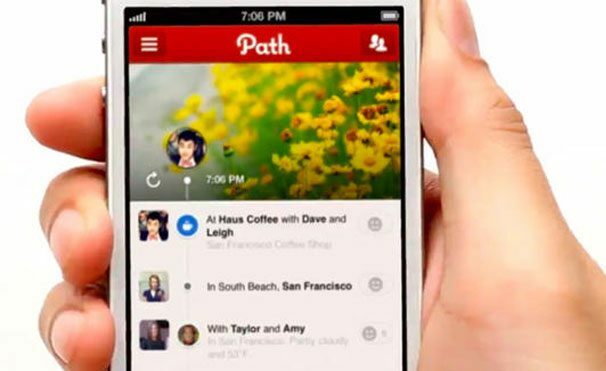 Much of the positive press for Path was centered around their relaunch in 2011. The question is, what does Path offer me that say Facebook doesn’t outside of a “do over” in building my network where there are fewer friend requests thus less pressure to add people I’m not actually all that close with? Unlike Facebook, where sharing branded content like articles and meme’s are becoming more and more the content du jour, Path is built around sharing stuff that people are already showing fatigue with on Facebook or other networks like Instagram. Though the privacy factor is key, without the other stuff, it’s hard to integrate Path into your every day consciousness thus you use it less therefore how detailed is your “Path” anyway? Like most apps, especially ones that are well staffed with large expenses, eventually it comes down to how they are going to make money. Social networks need to scale, but how much can a network whose core value proposition is that it encourages the limiting of friends in your network, actually scale? Not to mention it’s free and it seems that their main product for sale is…stickers? Great design is key to a great experience but that will only take you so far, especially in social. Might there be an opportunity to focus more on value to one in terms of being a place to record even more detailed happenings in your life, sans the social sharing emphasis? Sort of like a really awesome life log. As it stands, Path is one of those niche products that a core group really loves. That can work under the right circumstances. I’m just not sure that Path is on the right…Path. Sorry, I had to. Anyone know how many apps have tried to tell you awesome things happening in your city to discover, whether it be events, restaurants, bars, etc.? Ever been to a carnival and had to try and guess how many jellybeans are in the jar? Yeah, it’s kinda like that. Who on earth knows. As with any app to launch in this space it would only be natural to meet it with great skepticism. 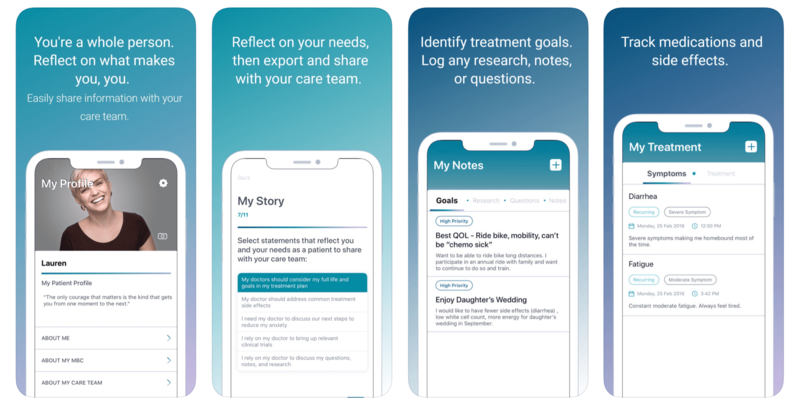 Taking more of a “personal concierge” approach, the team behind Sosh knows this and they believe they’ve finally cracked the code. I’m not sure if they’ve cracked it yet, but they’ve probably got more numbers in the equation than any app I’ve seen so far. 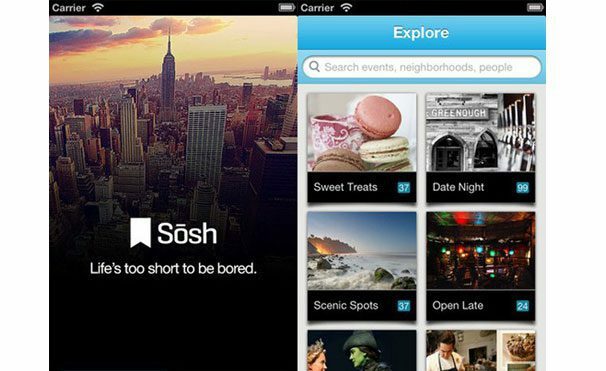 Another app that takes design and user experience very seriously, Sosh does an excellent job of surfacing interesting things happening, recommendations with a subtle Urban Daddy style hip factor and they tie in just a little social to make it that much more intriguing. This is a tricky one, but that’s more because of the space than the product. Curation and therefore trust in a brand is going to be of ever more importance as time goes on when dealing with any sort of recommendation/planning type app. So will context and quickness, especially on mobile. It’s not enough to just show me cool stuff to discover in my city or interesting things happening tonight, but can you hit the nail on the head every time I fire up the app so I walk away with a positive experience and not more exasperation? That’s the challenge. Apps like this have to be a pleasure to use each time, not a chore in order to get people coming back for more. Sosh seems to have a plan headed in the right direction and they’re clearly building a strong brand, not just a functional product focused solely on on demand discovery. They introduce tastemakers and other content/features for a full experience, cross platform. I’m curious to see how much/if social comes more into play where not only can I discover a cool restaurant in the neighborhood I didn’t know of, but can I also discover a cool new someone to try it with…hmmm? Whisper is one of those weird ones that kind of emerged from nowhere. Is this really a product? I suppose so. 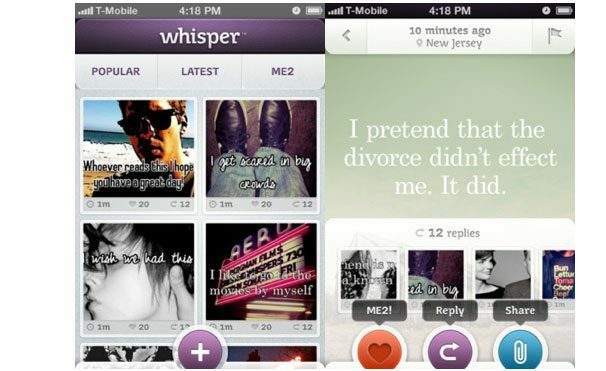 Whisper is a way to post a photo and add a caption. Sounds boring right? Well, here’s the catch: It’s a place to anonymously get something off your chest for the world to see and even get some feedback on it, without blowing your cover. Feeling guilty about cheating on your girlfriend? Whisper it. The fun part is reading all the whispers as people can get creative and it can be pretty funny. Now you never know what the founders have up their sleeve but this seems like the quintessential fad product. The thing it does have going for it though is anonymity which is rearing it’s head back in the game as value to a consumer when using a product. This was once a problem with the internet (see myspace vs Facebook) but people are increasingly wary of what they put online as evidenced by the rise of other products like Snapchat and its disposable nature. My guess is that if Whisper is here to stay, in 5 years it will be a totally different product with a more definable and sustainable value proposition and experience. But, take a look at most successful web/apps and you can say the same thing.